If you are keen to add a touch of floral elegance to your event, then look no further, here it is. This beautiful archway is a wonderful backdrop to the most important part of your wedding day, your wedding vows. Or, perhaps you would like all of your guests to walk under it, as if it were the passage way to your very own secret garden. The arch is carefully decorated with the most beautiful, high quality, silk flowers. Sourced and arranged by our brilliantly talented florist Lola, of Walnut and Willow, the colours of the flowers on the arch complement each other in pink tones that subtly blend together to create a stunning spectacle, then pop against the vibrant green foliage, giving depth and beauty. Of course, arches are not just for weddings! This lovely piece has featured at baby showers and garden parties, as well as a festival styled event. This really is a magnificent piece and will compliment any event that you might wish to hire it for. Where can I use this? The arch is suitable for indoor or outdoor use and looks brilliant wherever you put it. 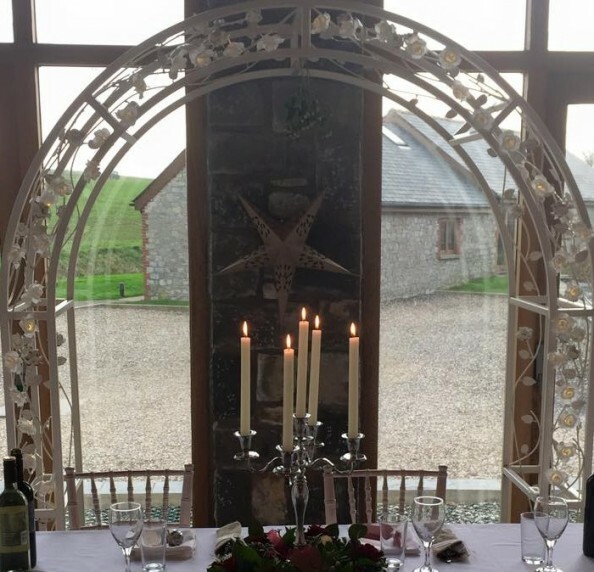 To hire this stunning arch in all of its glory, simply get in touch with us here.